Typical … Stereotypical that is …. Me and Big Pete were in charge of Littleville last night, a smaller market town about 6 miles from Bigtown itself. It’s a bit more of a quaint place where very little really happens. Well not in the big scheme of things anyway. Littleville has a far more affluent population that Bigtown – a sort of arrangement that is repeated up and down the country – where the people who can, like to live just that bit out of the way, but close enough to all the amenities of a large town. A major thing about small market towns like Littleville is that everybody knows everybody’s business, and nobody minds this. On most of the estates in Bigtown, if you glance through your next door neighbours windows as you walk past, they will be out waving an iron bar at you, threatening to tear you apart limb from limb, within micro-seconds. This of course assumes you walk form your house to the off licence at the end of the road, and don’t order a taxi there and back like most of the non-employed can afford to do. In Littleville, they wave, and invite you in for tea and cake. The other thing about places like Littleville is that anything out of the ordinary stands out a mile …. instantly. And that’s how it was, less than an hour into our night shift, as we drive around one of the quiet, manicured lawn infested side roads. 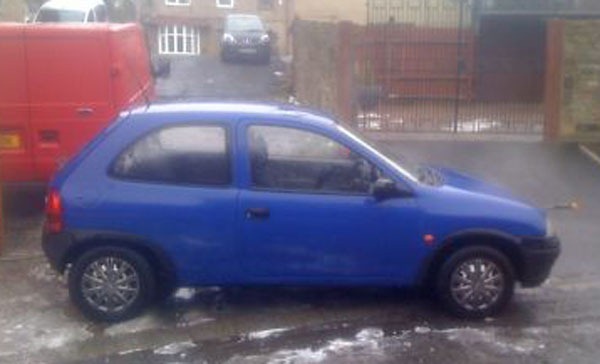 Specifically it was a shabby old blue Vauxhall Corsa with two baseball cap and hoodie wearing youths in it. There couldn’t have been a car that was more out of place amongst the BMW’s, Audi’s and 4×4’s of Posh House Lane if it tried. I remember when I first joined the police. It was drummed into us about the evils of stereotyping; how we mustn’t jump to conclusions based on our own negative imagery or perceptions. How if we did, we’d be in front of the Superintendent and out of a job with a boot in the backside in five seconds flat. And then we were taken on a day visit to Bigtown Police Station where, in a few weeks time, we would have been based and our new lives would begin. We were taken into the CID office, and gazed in awe at all these real bigger than life detectives, the sort of copper we should inspire to be. They weren’t running round like headless chickens, constantly answering radio and committing the ultimate sin of having to wear a uniform. Ohh no, they wore suits; well some of them did – mainly they wore jeans and T-Shirts, and looked a right scruffy bunch, and sat around playing some sort of Football Manager game on the internet on their computers. The DI invited us into his office, and explained how CID did the ‘real police work’. It was all about intelligence you see, and always being aware and keeping a watchful eye.Uniform was okay, but we wouldn’t want to stay there long; we’d get bored apparently. Then he said something which stuck in my mind to this day. “If you’re out at night, or even in the day, and you see a scruffy old Corsa with a couple of lads in hoodies or caps where they don’t belong, they’re up to no good – turn them over”. The archetypal stereotype if ever I heard it – but there they were, right in front of us, right smack bang down to the scruffy old Corsa. Big Pete was out of the panda before I’d even stopped, and went straight over to introduce himself to our new found acquaintances. The two lads had clearly been so engrossed in something or other they hadn’t even noticed our arrival, which took them pleasantly by surprise. The first excuse that they had “got lost on their way home” didn’t really cut it with us. I’m not sure what the real giveaway was, but the FOUR sat-navs currently sitting in the rear footwell suggested to me they probably had a good means of working out the way to go. Maybe they needed four in case one broke, then they had a spare in case the spare broke ???? It was even less of a surprise to us in our stereotypically deranged minds, to find out that the car these two oiks were sat in was registered to neither of them. In fact it was registered to nobody. And there was no insurance …. or MOT …. or tax. And we were even less surprised to find the gloves, and screwdrivers, and designer sunglasses, and wallets full of money and credit cards in decent, respectable peoples names, scattered all around the car and their persons. But they were surprised, much, much more than us, when we invited them to try on our special, heavyweight steel bracelets and gave them a free ride in our shiny police car, all the way to the cell-block at Bigtown nick. Relaying the circs to the Custody Desk Sergeant, he simply smiled, turned to our prize catches and said “two lads in hoodies, this time of night, in a dodgy old Corsa, in Littleville, you were asking to get caught”. “Sarge” I said “that’s stereotyping”. “No Chaos” he replied “that’s proper coppering”. Arrived at work this morning, 6.45am, ready for the start of a new set of 7 shifts; two early turn, two late turn and three night shifts. Just had a spectacular set of three days off (or rest days as they are formally known); however you don’t really get three days off do you ?? the first one is mainly sleep – getting over the previous three non-stop nights of chaos and calamity across whatever city, town or village you police. 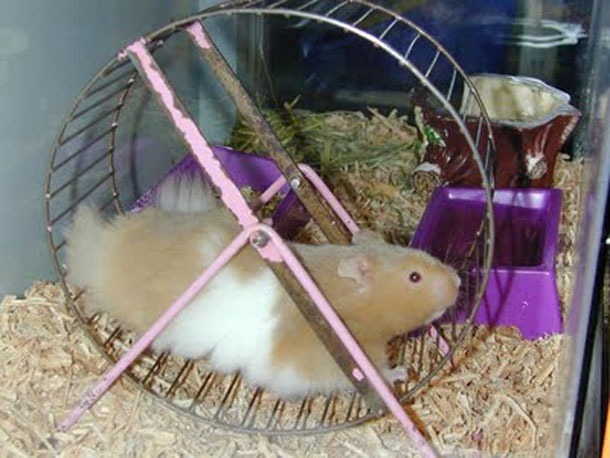 Anyway, we woke the station hamster from his deep slumber, fed him some crunchy nibbles, put him on his wheel and waited for him to generate enough power to fire up the computer. Note how I say ‘computer’ in the singular – we actually have three in our office …. between a shift of six …. and our sergeant …. but two of them haven’t been working for weeks – the chap from the IT unit at headquarters is very helpful, and doesn’t at all mind the 30 mile trip each way to try and solve our daily technology crises (actually I rather think he welcomes the chance to escape), but the problem is he’s had to order parts. As luck would have it, within one mile of Bigtown nick is the Spend-A-Fortune Retail Park. It’s not called that really, but it should be. Every time Mrs Chaos arrives home from there laden down with bags of new clothes and shoes, I always comment “You’ve been out to spend a fortune” …. On this fine retail park, as I’m sure is mirrored across this merry land is a PC World and a Maplin – both fine purveyors of all parts and pieces, computer orientated. We also have a selection of small independent computer shops dotted around town, so you would have thought getting the bits we needed would be a two second job. Well it is ……. in the real world ! Over here in police la-la-land however, a spare part involves paperwork ….. and more paperwork ….. and a requisition …. signed by the head of the IT department … back at headquarters …. who must then send it to the local Finance office to authorise …. who must then get a signature from the Superintendent …. who doesn’t work weekends …. who then sends it back to Finance …. who send it back to IT at headquarters ….. who then sit on it for a month and then order the part from our ‘approved’ supplier who won’t have it in stock .…. but have to order it (at three times the price Maplin charge) ….. who then have to wait for it to arrive, before sending to our IT department ….. who then send it to our station ….. who then have to ring IT to say it’s here so they can send someone out to fit it. Thankfully, before Sweeney (the hamster) had completely worn himself out, the computer sprang (well fizzled) into life. This allowed each of us, in turn, to log onto our email accounts to see what delightful notices and commands had been cascaded down to us street level minions in the whole three days since we were last here. Or that was the plan. Despite repeated attempts at starting the programme; much throwing of the communal mouse (the plastic thingy with a wire on connected to the computer don’t panic); several hot beverages and numerous attempts to bribe Sweeney into running just that little bit faster, we gave up. No chance; it just was not happening. The soggy bit of string connecting our lone working terminal to the behemoth of Headquarters network central was not playing the game. No technology means we can’t spend our valuable time inside the police station, reading emails, filling forms and doing the latest ‘Training by Powerpoint’ learning package. God help the great British public now, as there’s only one thing for it …….. we’re going to go outside the station and do some police work !!!!! I called up the Control Room on my radio to let them know we were off out to patrol the streets of Bigtown, do a bit of traffic enforcement, show that ‘visible presence’ our lords and masters keep telling us the public want and ensure our fine residents could get to work and school safely this morning. Except those that we pulled over for driving round on their mobile phones; not wearing their seat belts; with no insurance or breaking the speed limits – in some cases by more than double, and in many cases doing more than one of the previous at the same time. It’s not in the slightest bit unusual these days for myself and other police officers to get called to incidents on school property. At night and in the school holidays, they are a massive target for the more light-fingered members of our community; those who completely fail to grasp the concept of ‘get your thieving bloody hands off you low life moronic waste of a good skin’. During the school term though, we seem to be attending more and more incidents in the classroom. Assaults are of course the biggy; it used to be the case that schools would deal ‘internally’ with minor skirmishes and breaches of discipline – there are many good reasons for this, not least that at the end of the day, kids will be kids; they will never always see eye to eye, and the odd playground punch-up will happen. It happened when yours truly was as school, and it will happen in the Chaos kids schools – the trick here is to differentiate between playground foolery and anything more sinister. Things have changed over the last few years though; every day we get calls saying “My lad Beckham’s been attacked, the school have done ‘nuffin’, I want him ‘dun’” when in reality the charming ‘Beckham’ has been terrorising the playground, bullying other kids for weeks and one of them has had enough, clouted him back and like any other little bully, Beckham’s gone running home to mummy. We get a surprising number of parents fighting at the school gates as well; taking out their over the garden fence disputes in the street, all for the enjoyment of 500 young and impressionable kids who we spend much time educating on how to be model citizens. These generally revolve around something said to Tracey by Carly’s new fella Wayne who used to be Tracey’s fella but got kicked out when Tracey found he was sleeping with Sophie who is Carly’s sister who herself then got dumped by Wayne cos Sophie was sleeping with both Wayne’s brothers Nigel and David, and his best mate Richard …. and Richard’s sister Rachel … probably all at the same time !!! So Wayne is now sleeping with Sophie’s sister Carly, who lives next door to Tracey. Confused ???? I was but I will write that job up on here soon …. The cynic in me says that all this didn’t happen a few years ago, mainly because the parents were out doing that now remotely ancient activity called ……. wait for it ….. working …… rather than being slouched around in front of the TV all day, wearing a size 24 tracksuit (what’s the point of keep fit clothes that big anyway ???) and keeping the blood alcohol count at a steady level of ‘super high’ by constantly consuming the contents of every Frosty Jacks bottle within a three mile radius, but what do I know ??? Anyway …. the thing I love most about my job is that every day is different; you never know what your next job will be and that makes it all the more interesting. This call, however, certainly was one of those ‘first for everything’ ones. “Chaos from Control” came the call, “Can you start making Bigtown Enterprise College, reports of persons on the premises, barricading themselves in one or more of the classrooms, got this one on as a Grade One emergency, staff confirm the children are still in the building”. Right. Firstly, it’s not a college really, that’s the fancy new buzzword name for a comprehensive school (or secondary modern if you’re really old), and secondly, I should hope the kids are in the classrooms; it’s half past nine on a Wednesday morning in term time – where else should they be ?? All that cleared up, what on earth is going on ? what are people doing entering a school and barricading themselves in ?? A Grade One is our highest priority call – one of those that requires a blue light response; the sort of job where life or property is in danger and we need to get there ….. quick … quicker than that …..
It’s also the sort of job where a Grade One call on school premises when the school is open and full of kids is not only going to set our local Inspector’s bottom twitching, but also those attached to the senior officers many miles away, in their comfy leather arm chairs and coffee tables looking out over rolling fields at headquarters. I can see right now their fourth meeting about what meeting they need to organise that week being interrupted with the news and a number of people who, lets face it, have not set foot on the mean streets of anywhere for a very long time, looking at each other and wondering what they are supposed to do next. Organise a meeting to plan a meeting to discuss it I guess. I have to admit, visions of some horrific North American school shooting disaster crossed my mind en-route but within a couple of minutes I was at the school and everything appeared very calm. Big Pete arrived seconds after me and we both entered the main building, tentatively. We were met by the Head Teacher who quickly explained a group of parents had been protesting outside the school since 8.00am but as soon as the gates opened to let the pupils in the parents had rushed past , taken up residence in two of the classrooms and were refusing to leave. “All in order at the moment” I called up on my radio and gave a very brief resume of what we knew so far “no need for anyone else” I said. “Chaos from Inspector Babble” I heard come straight back at me “the Superintendent at HQ is taking control of this incident, I’m on my down to the scene, Wait for me before engaging the suspects”. Pete and I looked at each other. Without saying a word, we both knew this was soon to be going rapidly downhill. It was an awful shame that our personal radio’s appeared to be in a reception blackspot at that moment, so we wandered along the corridors to find the protest and try and calmly sort the matter out before the cavalry arrived. When we did locate them, which wasn’t difficult, they weren’t the bunch of baying, screaming banshees we were expecting; they were a bunch of quiet pleasant thirty-somethings who were sat at the class desks, reading the paper or fiddling on their iPhones. It very quickly became apparent that there reason for being there was that the local Education Authority had very recently sent out letters informing the parents that they’d changed the goalposts, and as of the new school year, none of their kids would be able to attend this school; the one a few hundred yards from most of their homes; as the kids would be outside of the new catchment area. Instead they would all have to go to St Peters in the Fields Comprehensive across town – about three miles across town to be precise – but as luck (for the council) would have it, a few hundred yards within the boundary of when the council would have to provide free buses to get the kids there and back. Ohh, and as a final kick in the parents teeth, it would matter not if they already had a child at the school; the Council were not applying a ‘siblings are ok’ policy, meaning that some parents would have to get kids to and from two schools, three miles apart, at the same time – I’m sure that’s a clever trick if you can make it work. I must confess on hearing this to have had more than a little sympathy for the parents cause. It seemed they’d been trying to contest this ridiculous decision for several months, and the Council had turned down repeated requests for a public meeting or any sort of review of the situation. It was clear the parents had tried diplomacy many times over and it had failed, leaving them, they thought, with no option rather than direct action. About this time, the Inspector arrived to ‘take charge’ of the situation. I don’t think he was best pleased to find me and Big Pete sat in the classroom with the offending nasty subversives, drinking tea from one of their flasks. We appraised him if the situation, to which his many years of management prowess and training, numerous diplomacy and negotiators courses led him to the comment “Well you lot can’t stay here, time to move out or you’ll all be arrested for disorderly conduct on school premises”. Nice one boss ! At this point I may have accidentally mentioned to one of the parent protestors that the Inspector “is right at the end of the day, but if I was sat here now, I might have just called the local newspaper – I reckon they’d be well interested in a couple of pictures of concerned parents being led from the school by police officers – might embarrass the council into doing something”. Pete and I then proceeded to very slowly take down the details of everyone there, noting their concerns and reasons and you know what, I’m sure I saw the parent I mumbled to shortly before on her mobile phone and smiling at me, mouthing the words ‘thank you’. It seemed to take Pete and I quite a while to get everyone’s particulars; all the while the Inspector updating the Superintendent amidst telling us to ‘hurry up’. Do you know, a funny thing happened as we all walked out of the school. There was a reporter and a photographer there from the local rag ….. and that night we found ourselves on the front page of the Bigtown Gossip or whatever it’s called. 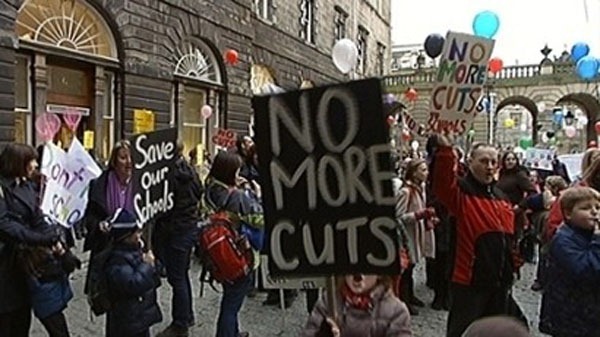 The headline read ‘Police evict parent protestors trying to save school’. Did Pete and I deal with this incident the right way ? I think actually, we did. Sometimes you have to do things differently when it’s for the greater good.